Buy any image instantly without credits or a subscription using a credit card or PayPal account. 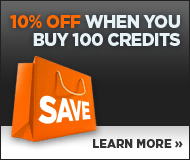 Choose a pack of image credits for added flexibility & savings. Credits are valid for 1 year. Save your searches, create collections and buy images for just $1. EPS or Ai format. Scalable to any size. Requires vector editing software such as Adobe Illustrator, CorelDRAW or Inkscape. This license specifically entitles you to use an image for placement on products for commercial resale or redistribution. Some examples include: mugs, mouse pads, t-shirts and other apparel, toys; greeting cards, stationary, calendars, stickers, posters, artwork and similar paper products. This extended license includes permission to resell or distribute the image as part of an electronic template, such as an e-greeting card, Powerpoint slideshow template, or software deployment package. Quantity of reproductions is limited to fewer than 500,000 for the standard license. This extended license has no limit. This license enables any number of employees of the same company to use the image. Please contact us to purchase any of these extended license options. Which size? Calculate the size you need based on the print resolution required. XS 3.4 x 3.4 cm 1.3 x 1.3"
S 6.8 x 6.8 cm 2.7 x 2.7"
M 12.3 x 12.3 cm 4.8 x 4.8"
L 17.3 x 17.3 cm 6.8 x 6.8"
XL 21.2 x 21.2 cm 8.4 x 8.4"
XXL 30.0 x 30.0 cm 11.8 x 11.8"
Crestock is a visual content provider licensing quality royalty-free stock photos and vector illustrations. © 2010-2019 Crestock Corporation. All rights reserved.